A Hollywood directors themed ensemble for a 21st Birthday. The cupcakes are choc mud with either Irish Cream buttercream or Strawberry Liqueur buttercream. Atop the cupcakes are teensy fondant clapper boards, megaphones and movie projectors all handmade and hand painted with white food colouring. Oscar on the top cake is hand modelled using fondant, sprayed gold with PME Gold food colour. 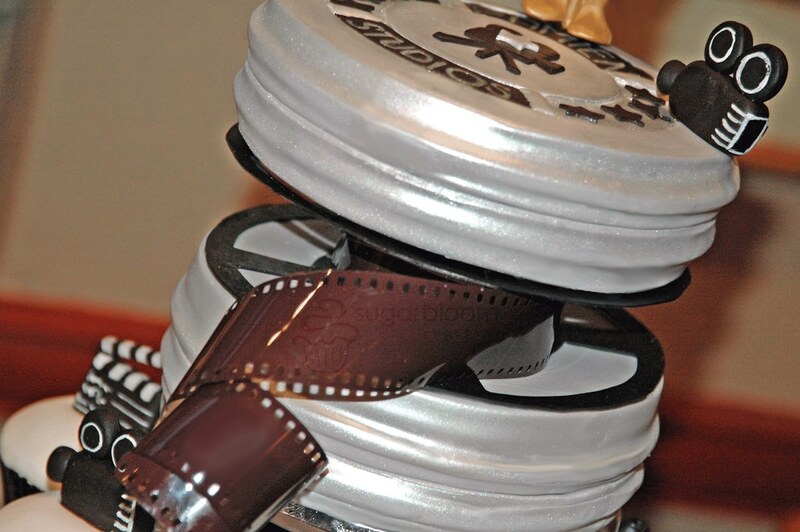 That's so cool how you embossed your logo onto the film! How did you do that? ?